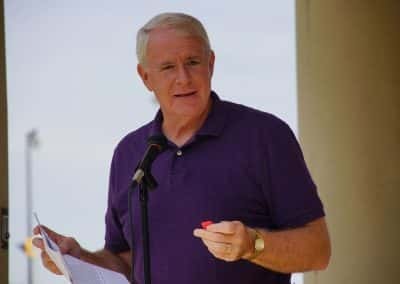 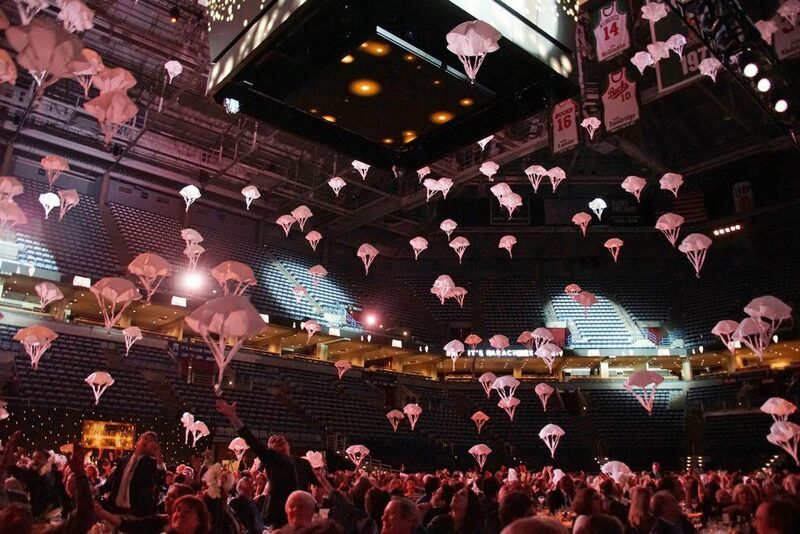 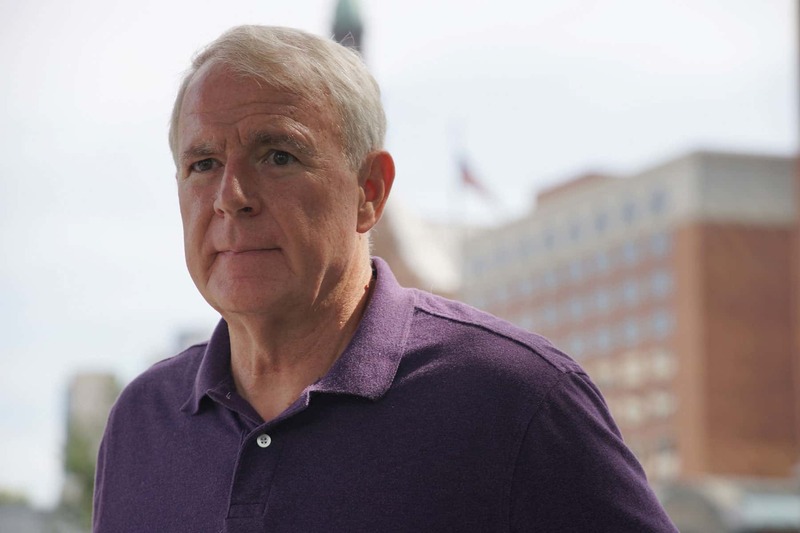 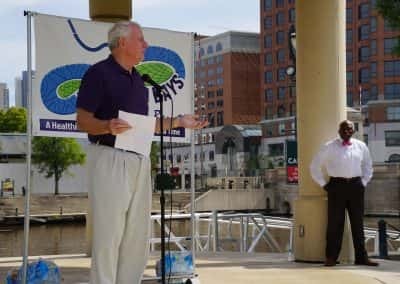 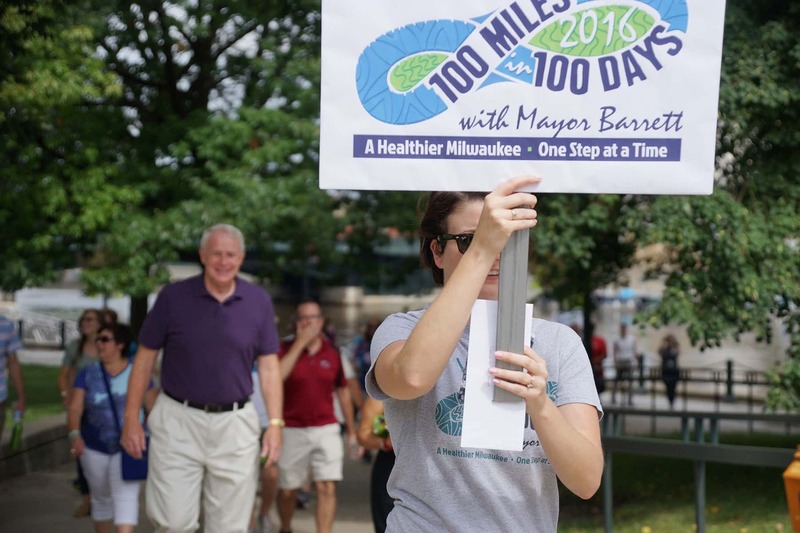 Since it launched on June 1 from City Hall, thousands of Milwaukee citizens have walked alongside Mayor Tom Barrett. 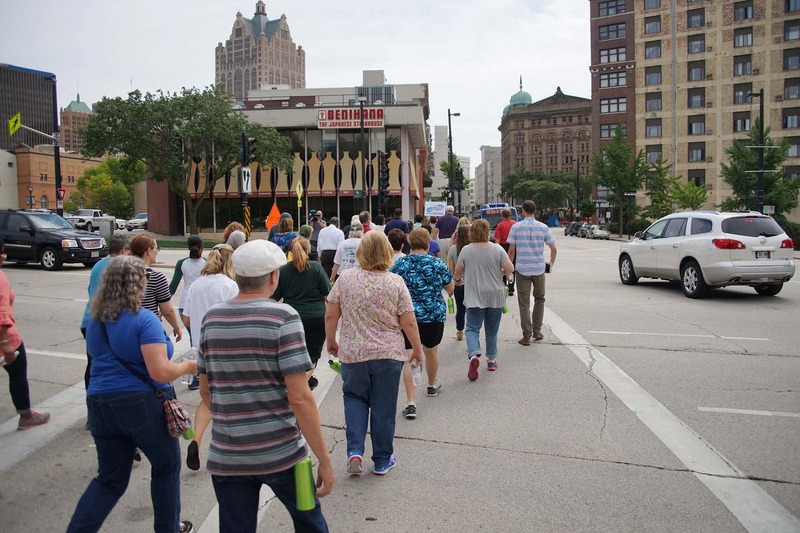 The Walk 100 Miles in 100 Days Challenge reached its 100th day and ended on Friday, September 10 with a final walk along the Milwaukee Riverwalk. 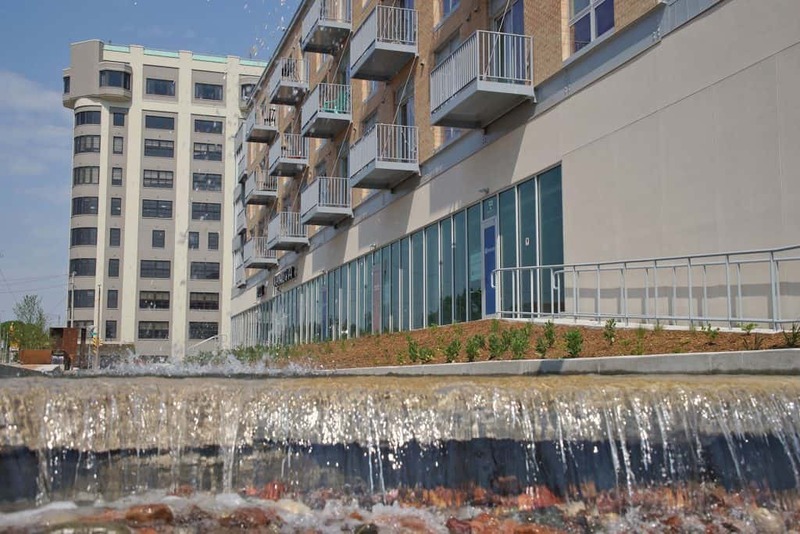 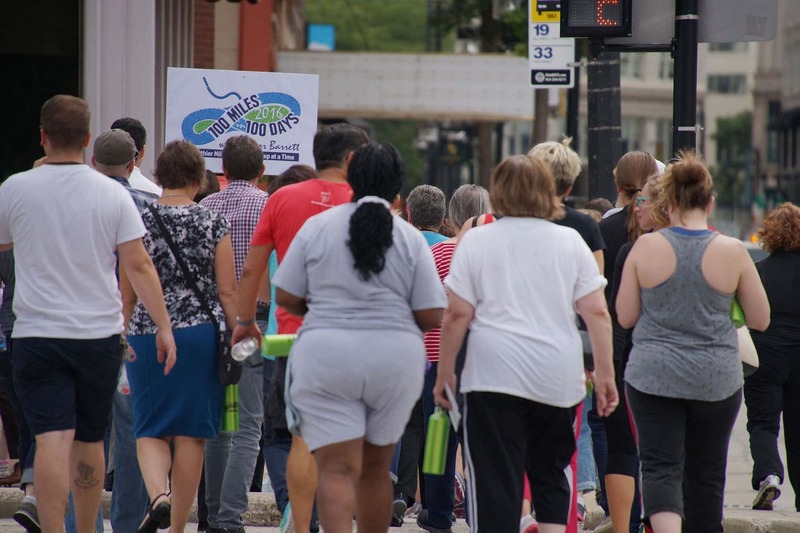 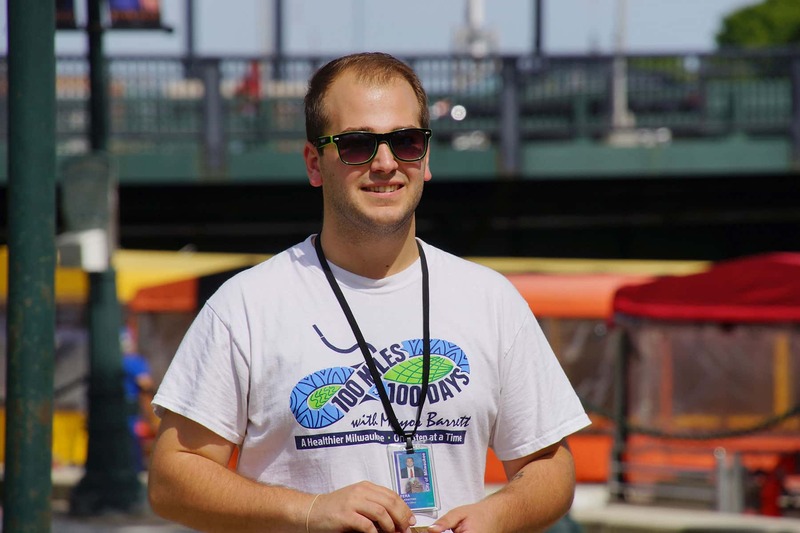 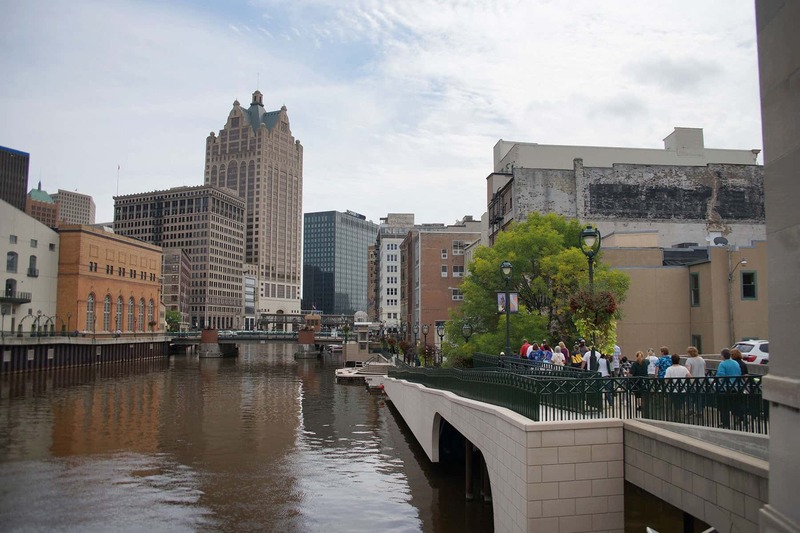 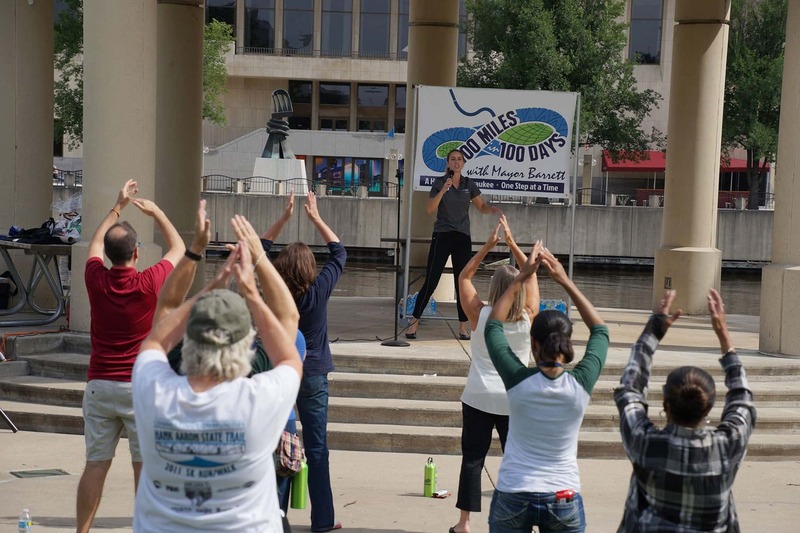 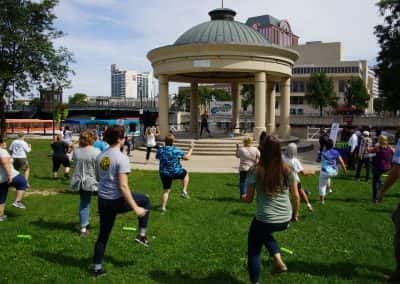 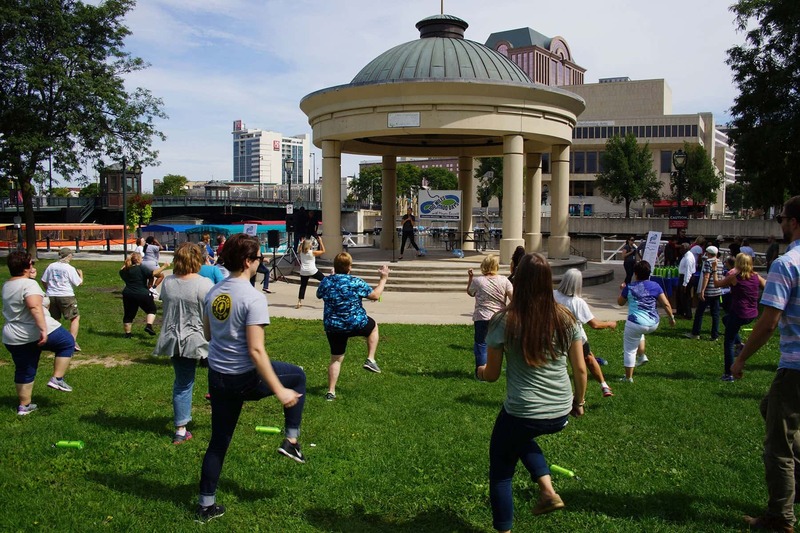 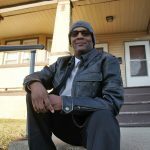 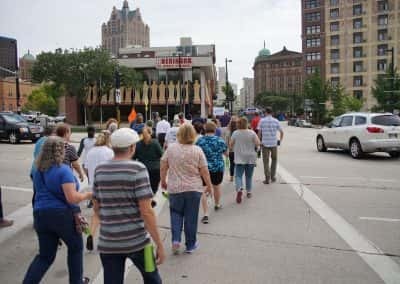 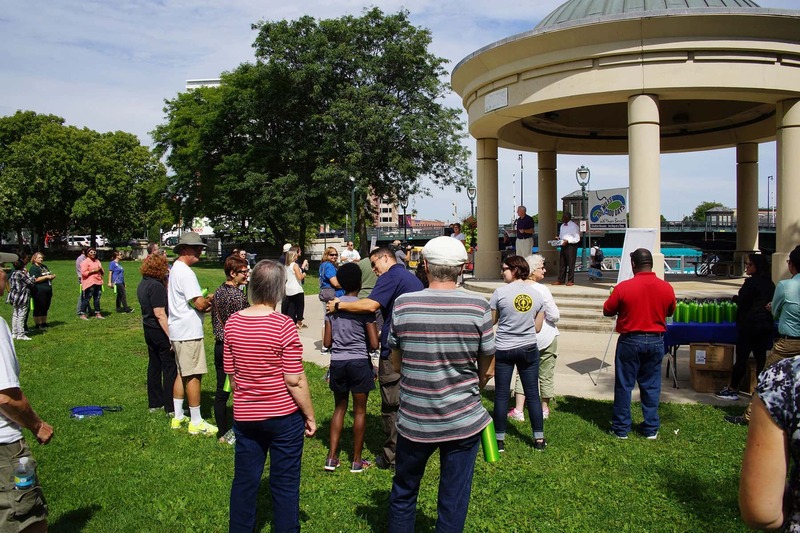 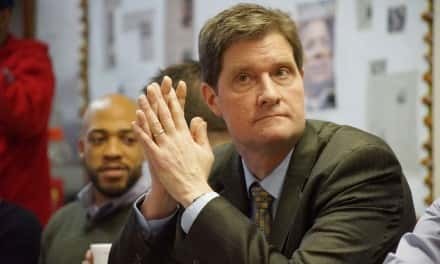 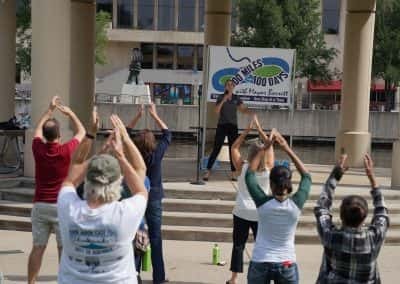 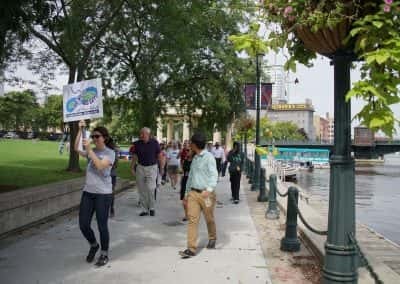 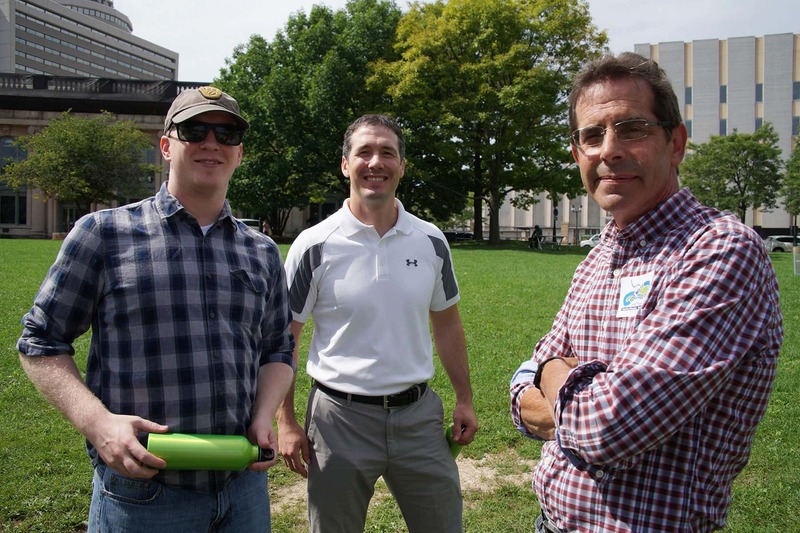 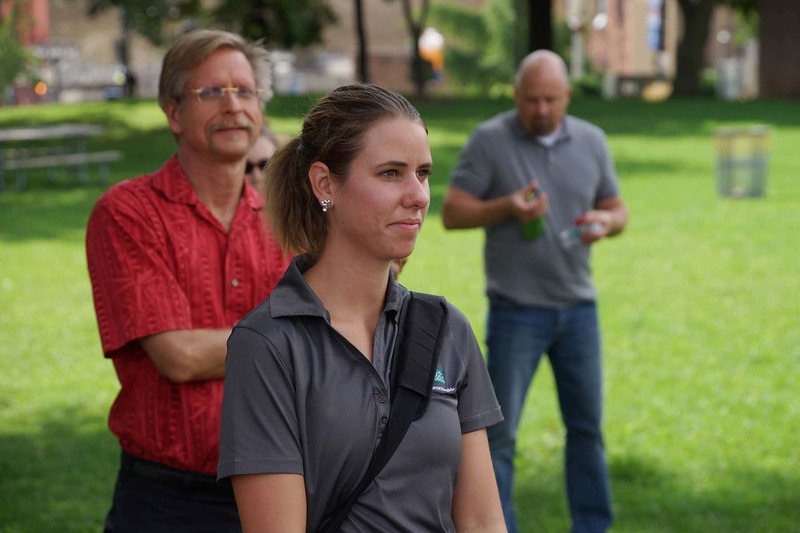 Walk 100 was an effort to increase physical activity among residents, and it complemented the Milwaukee Health Department’s work in combating obesity. 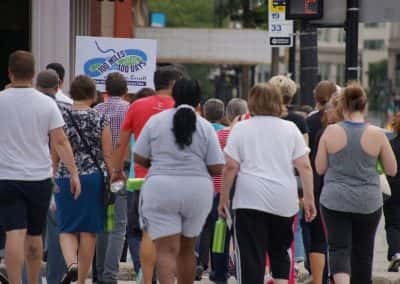 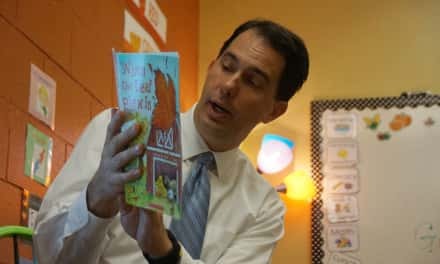 In July, the Public Policy Forum reported that Milwaukee’s obesity rates are higher than state and national percentages. 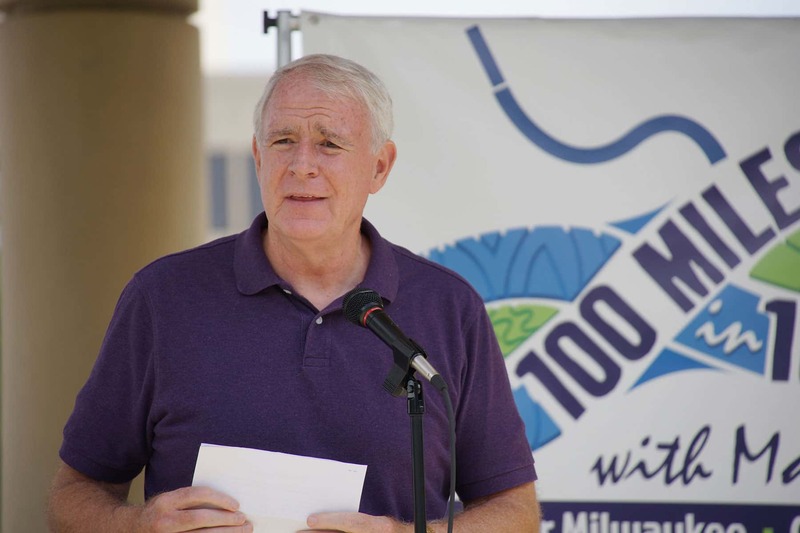 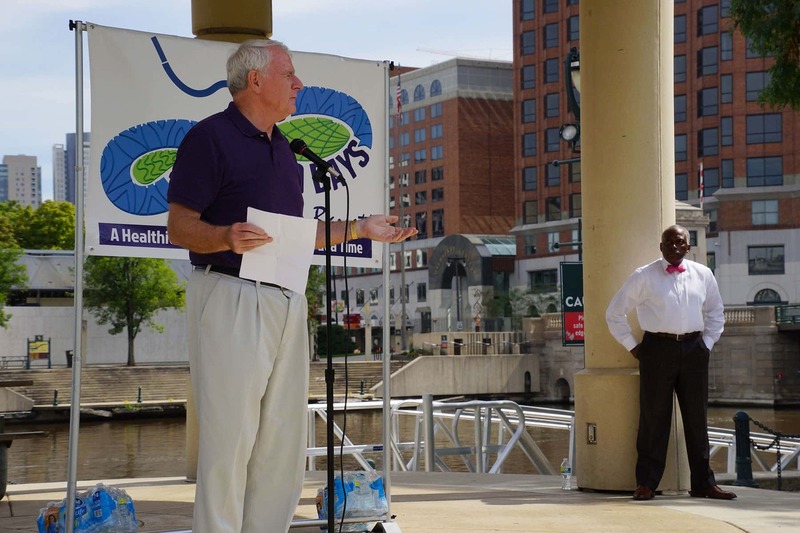 Throughout the 100 days, Mayor Barrett encouraged residents to join him in creating a healthier Milwaukee. 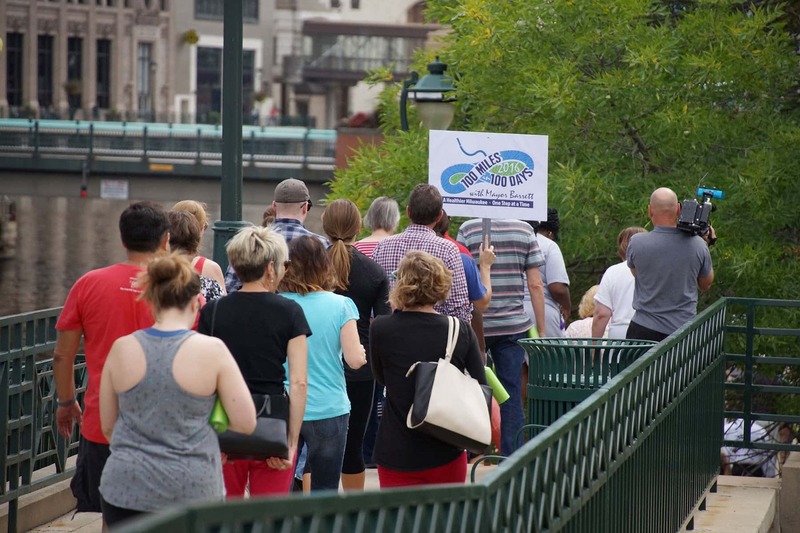 This year, Walk 100 participants logged the most miles online since the program’s inception in 2014. 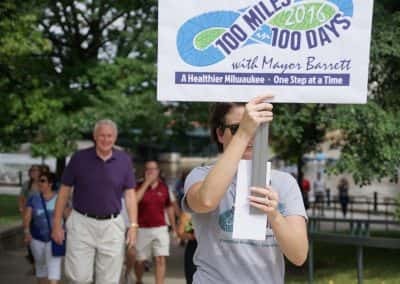 The website allowed for daily progress tracking of miles and time, with a participation ranking. 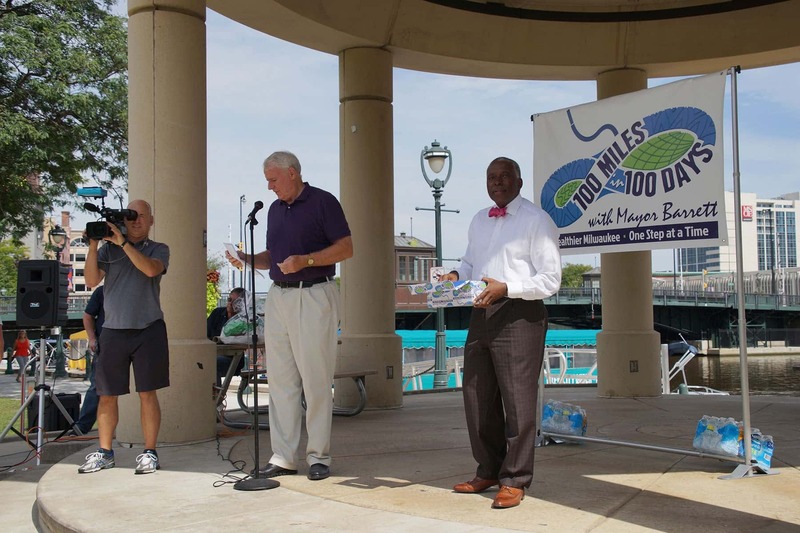 Half of all registered walkers met the goal of 100 miles in 100 days. 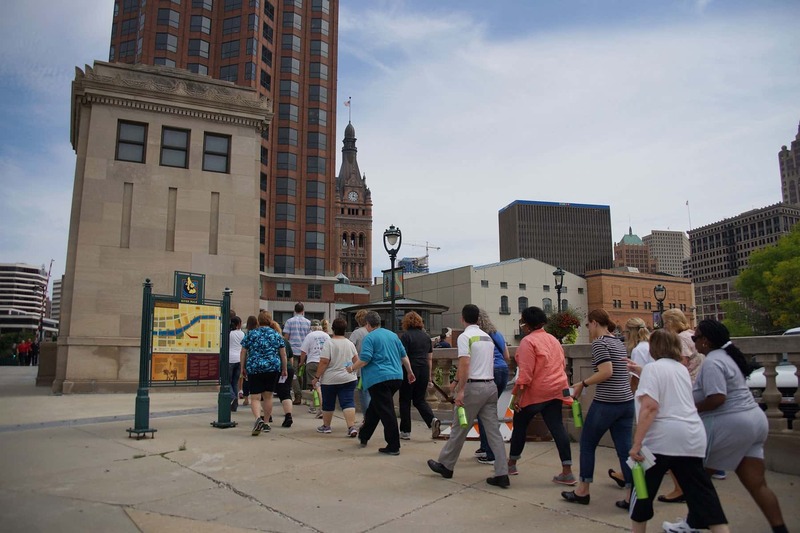 The top 30 walkers exceeded the challenge, with a range of miles walked from 315 miles to 1345 miles. 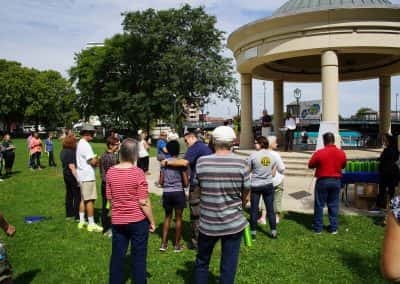 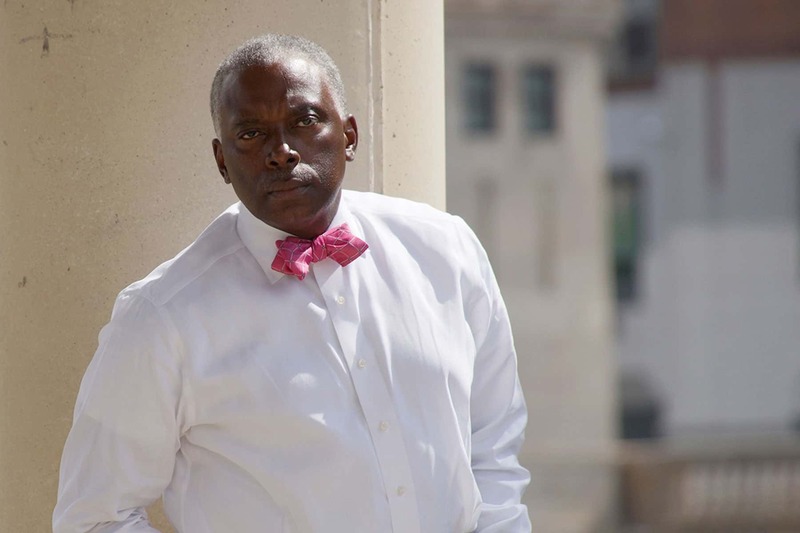 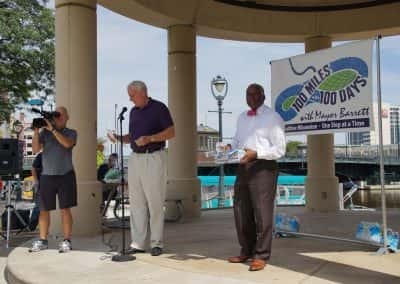 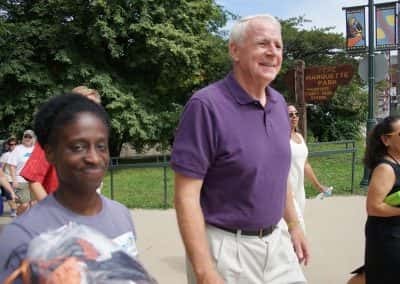 City leaders who joined the Mayor during his walk included Alderman Rainey, Alderman Johnson, Alderman Kovac, Alderman Witkowski, and Alderman Murphy. 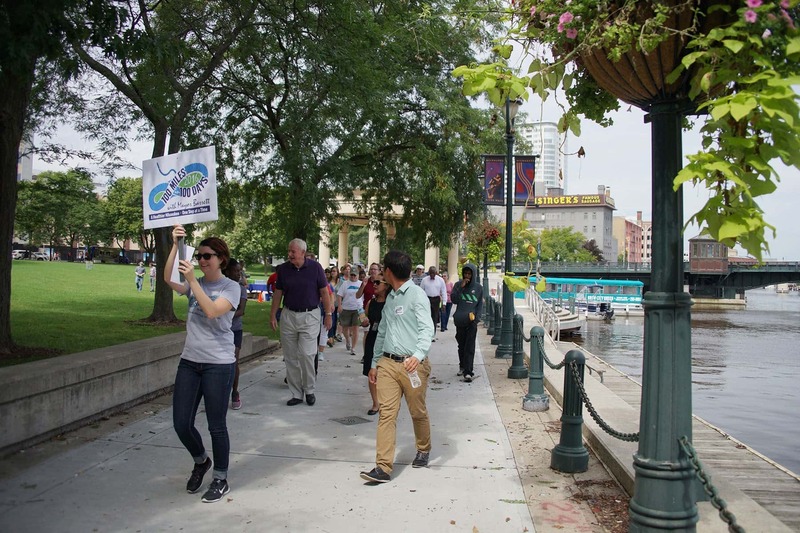 Program locations covered areas in and around the city with participating groups such as faith leaders, Summerfest and Discovery World, Silver Spring Neighborhood, Burnham Park Reed Street Yards, Historic Milwaukee, Garden Homes Neighborhood, Healthy Birth Outcomes, Serve2Unite Chardhi Kala, Jackson Park Community, ASQ, Journey House, Urban Ecology Center, YMCA, Westown, Enderis Park neighborhood, and Concordia Neighborhood. 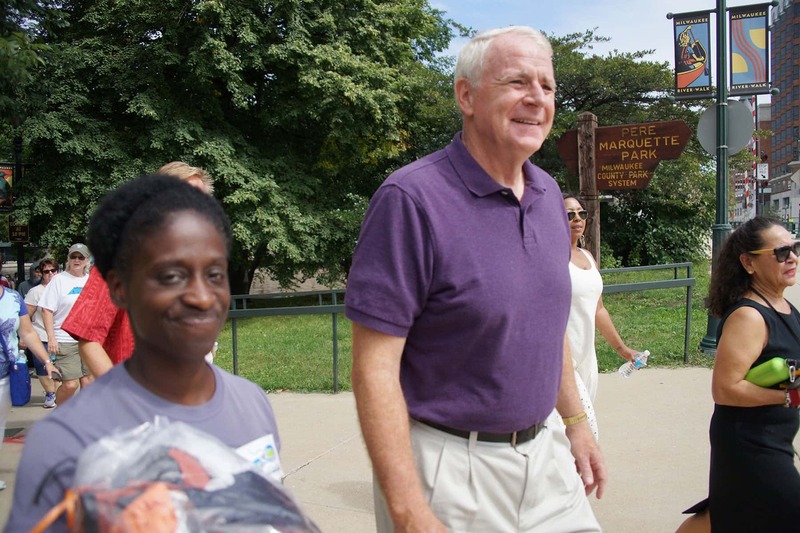 On the final day, Mayor Barrett congratulated program participants, and handed out raffle prizes to celebrate the end of a successful summer walking with residents in all corners of Milwaukee.